In my practice, it took years for us to realize that the most unremarkable and natural comment was causing patients to miss their regular maintenance appointments costing us time and money. But first a little background information. One of the most tested behavioral concepts that social scientists have proven is that we are more motivated by pain than pleasure. By loss than gain. This makes sense because not getting pleasure may result in disappointment. Ignoring a threat can be fatal. 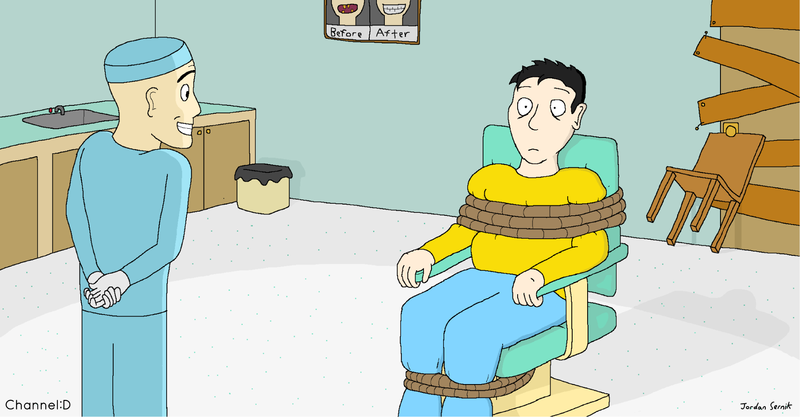 In a dental practice, we are dealing with trying to motivate our patients to do a variety of things. We want them to brush and floss. We want them to return regularly. We want them to choose better treatment solutions. We want them to refer their friends and family. How well we can Nudge* our patients impacts the patient’s health. We have an obligation to become better at guiding patients to make better decisions. Have you got all that in your head? Good, because this is where you could be going wrong. I figured that out the hard way. I used to have a hygienist who had a habit of saying things like “You’re doing very well. Let’s see you in 6 months”. To be honest, I never gave that comment a second thought. Then one day it occurred to me that this message might be causing more harm than good. She was trying to provide the patient with some positive encouragement, which is to be commended, but maybe she was also removing a key driver in having the patient want to return. Remember what I said before? People are more motivated by avoiding pain than seeking pleasure. The compliment was providing pleasure. Are they going to keep coming back to get compliments? Or do we want them to keep coming back to avoid pain? So, we instituted a new protocol. None of this was a script. The actual words used were always appropriate to the situation. We began monitoring how many people were seen for a recall within 7 months of their last appointment. The attendance rate went from 73% to 89%. So, it's a mistake to encourage people. (That's not actually true; I'm just trying to get your attention.) It IS a mistake, however, to paint too rosy a picture for the patient. By accentuating the positive, you give the patient a false sense of security, which means they won't think it's important to come as regularly as we would like. However, if you tell the truth, that there are some suspect areas in their mouth that you'd like to keep an eye on to ensure nothing deteriorates (and every mouth has those areas), then you start to really motivate your patients to do the right thing and come as often as you recommend. Don't kill your patients (and your practice) with kindness. Tell them what's going on, and get them motivated to come back. *When the book Nudge was published in 2008 it had a significant impact in several countries. The governments of USA, Canada, UK and Australia and others realized the power of the principles outlined and they set up departments to help implement these ideas. The book mentions how doctors are Choice Architects. Our role is to offer choices. The principle is that the patient gets to choose, however it’s our obligation to position their choices in such a way as to help nudge them into making better decisions for themselves. Communications has been a passion of mine for many decades. I created and ran a course that has been attended by thousands of dentists in the US, Canada, UK, and Australasia. I’ve now developed this company, Channel D, which communicates directly to patients via videos in the waiting room. We have applied several Nudge principles. We don’t instruct. We allow for choice and we use language and graphics that are designed to maintain the patient’s attention. Importantly, all of our content starts off as requests from our members, so the messages are always relevant to you.